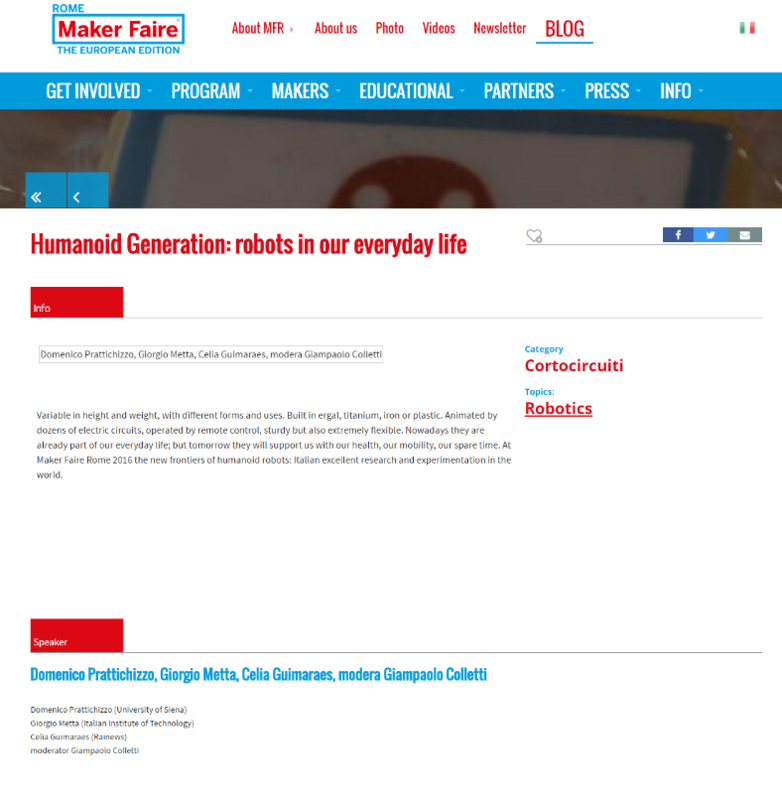 Domenico Prattichizzo will be invited speaker with Giorgio Metta (Italian Institute of Technology), Celia Guimaraes (Rainews), moderator Giampaolo Colletti, during the event “Maker Faire Rome” scheduled in Rome on October 16. Maker Faire Rome is the European edition of Maker Faire, organised by Innova Camera, a Special Agency of the Rome’s Chamber of Commerce, and supported by the European Union together with many other international and italian institutions. It represents a showcase of invention, creativity and resourcefulness, and a celebration of the Maker Movement. It’s an event created to cater to curious participants of all ages, wishing to experience firsthand the makers’ inventions in many fields and in the field of science and technology (from 3D printers to wearables, through to drones, robots and digital manufacturing). The subject of the talk will be “Humanoid Generation: robots in our everyday life”. Link to Rome Maker Faire website.